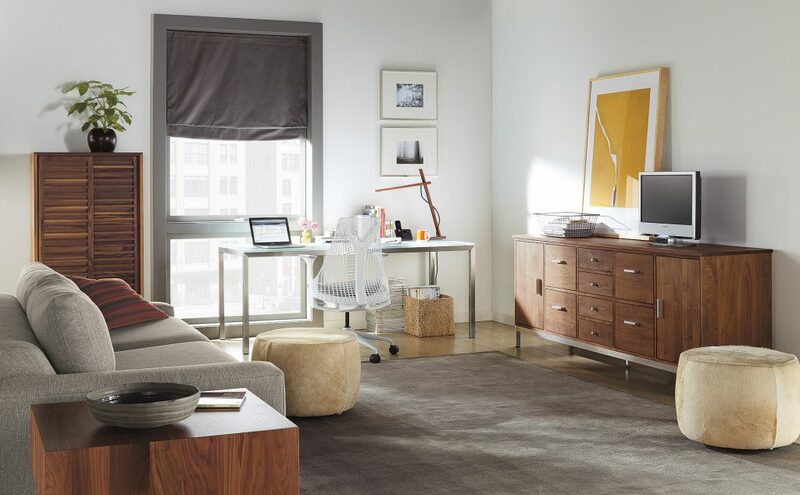 Creating a personal and functional work space is all about knowing your style and what works for you. So when Room & Board design expert Nicole Gaynor was asked to be part of the “At Home in the Office” panel discussion hosted by Metropolis magazine at our Chelsea store in New York, she was excited to share her knowledge. Nicole talked about how an office—either at home or at a business—can feel just as personal and comfortable as any other room you love spending time in. I caught up with Nicole after the event to talk about her experience as the manager of our Business Interiors team, inspiring office trends, plus some go-to solutions for a modern work space. What does “At Home in the Office” really mean? We started our Business Interiors team 10 years ago when our customers told us how much they love our furniture for their home and wanted that same feeling in their place of work. It’s about finding functional, comfortable pieces that go with your work style. What are a few guidelines for someone who’s designing a home or business office? Find your inspiration and think about what it means for you and your work style. What is it about that space or that product you’re drawn to specifically? Also talk with our Business Interiors team! Offices are so particular to the way you work and we want to help you get it right. We do that by getting to know your individual needs and wants, recommending products and creating entire floor plans. I also suggest not getting too caught up in a specific product; consider the space you’ll be working in—think about scale, the size of the room, how you like to work, if you’ll be collaborating with other people, things like that. How are home offices different now than when Business Interiors first started designing them 10 years ago? Home offices started out very traditional, within a separate room with an executive desk, for example. Then the home office shifted to fit into existing rooms in the home—a desk behind a sofa perhaps, or wedged into the kitchen. Now we’re seeing a transition back to a dedicated area but one that doesn’t feel disjointed from the entire home. “I think there are a lot more people working from home these days. Home and work are so connected—technology has made that easy for us. But because of that, lines get blurred between home and business. I’m seeing people adapt to that by the furniture they choose,” said Nicole. Featured in the picture above is the Portica Desk with a Linear File Cabinet. What office trend inspires you right now? Counter or bar-height work stations. I think it comes from a subconscious place of wanting a collaborative work area, and if you think about it, kitchens are typically a gathering space in a home. We stand around a counter or island as someone is prepping a meal or pouring a bottle of wine and then conversation starts flowing. We’re naturally drawn to standing while we collaborate without even realizing it, and that’s making its way into offices. Counter or bar-height work stations encourage collaboration and feature a modern twist on a classic way to work. Seen above are the Float Adjustable Height Desks along with a Different World Office Chair as well as a Jansen chair. What is an element of an office that’s often missed? Lighting! You absolutely need good lighting in your office. My home office is essentially in a cave in our basement, so I needed a lamp that offered ample light. 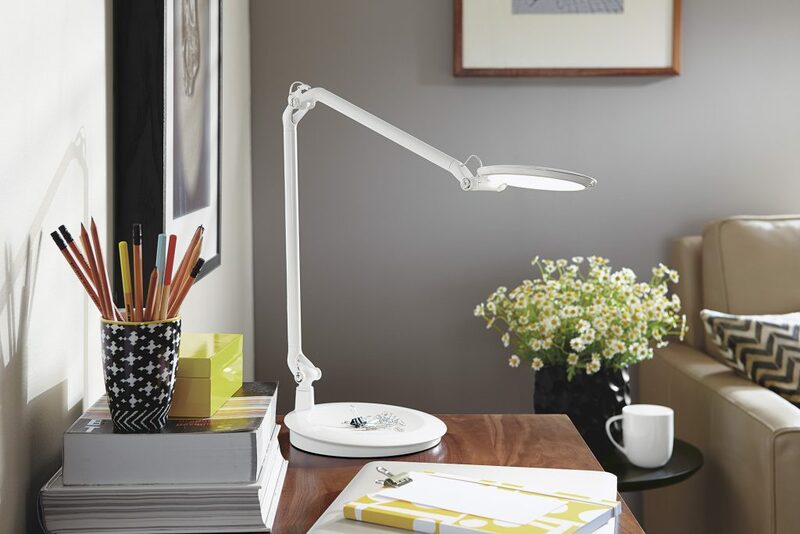 If your office is surrounded by windows, you’ll get good light by day but may want to consider a lamp with softer lighting for any time you’ll be working into the night. The Element Disc™ uses innovative Thin Film LED Technology™, offering seven levels of brightness with just a pinch of the light head. It also features a sensor that turns the lamp on or off when someone enters or leaves the area. What are some of your go-to solutions for a functional, modern office? 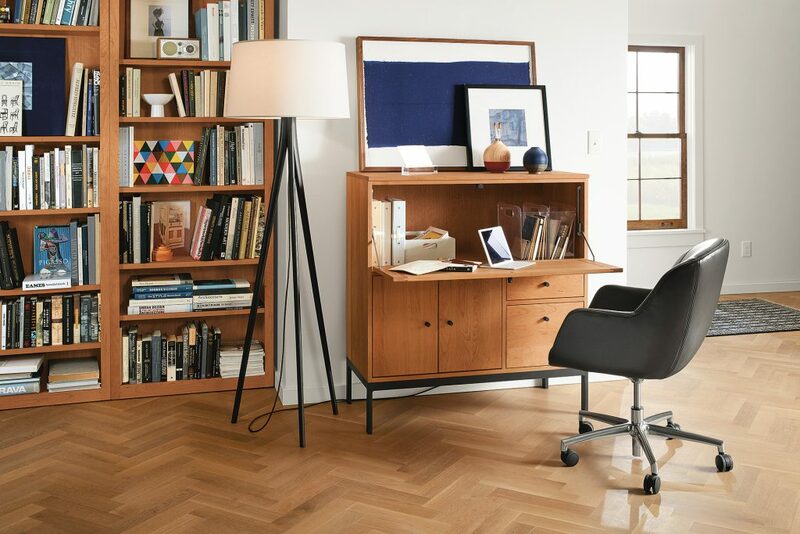 Adjustable height desks, like our Float® desk and SW® electric desk, let you find the perfect fit for sitting or standing, no matter who’s using it. I’m updating my home office right now and keep thinking about the Nico office chair. It’s so cute! 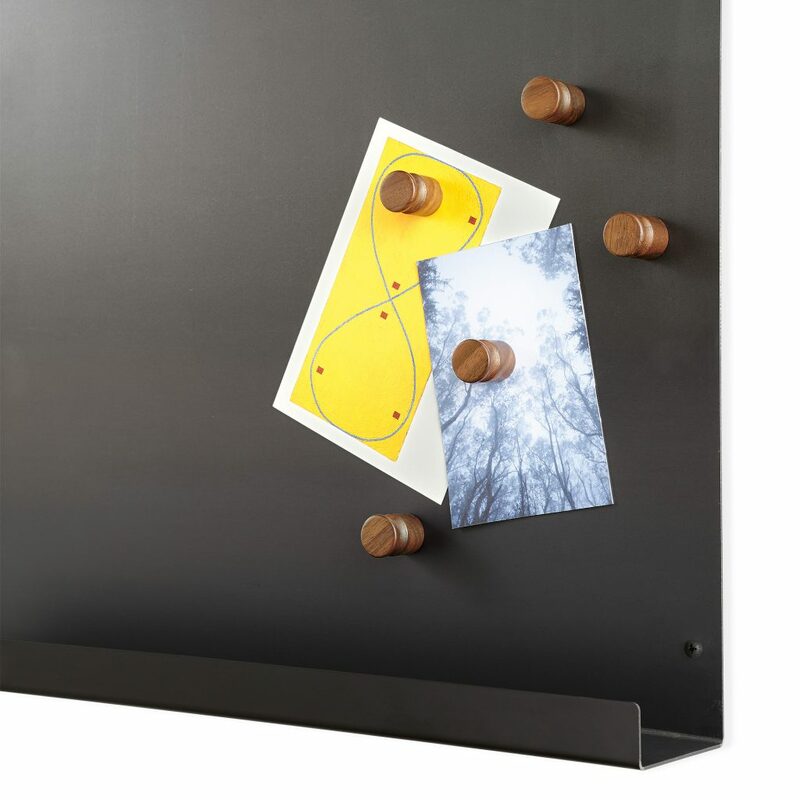 The Agenda board creates the illusion of always being organized—something I think we can all appreciate! Keep the inspiration going and see how customers are using our office furniture in their own homes and businesses in our Customer Photo Gallery.